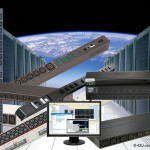 Why use a UPS System for a Server Room or Data Center? Even short outages can be trouble. Losing power for as little as a quarter second can trigger events that may keep IT equipment unavailable for anywhere from 15 minutes to many hours. And downtime is costly. Some experts believe the U.S. economy loses between $200 billion and $570 billion a year due to power outages and other disturbances. Utility power isn’t clean. By law, electrical power can vary widely enough to cause significant problems for IT equipment. According to current U.S. standards, for example, voltage can legally vary from 5.7 percent to 8.3 percent under absolute specifications. That means that what utility services promising 208-phase voltage actually deliver can range from 191 to 220 volts. Utility power isn’t 100 percent reliable. In the U.S., in fact, it’s only 99.9 percent reliable, which translates into a likely nine hours of utility outages every year. The problems and risks are intensifying. Today’s storage systems, servers and network devices use components so miniaturized that they falter and fail under power conditions earlier-generation equipment easily withstood. Availability is everything these days. Once, IT played a supporting role in the enterprise. These days it’s absolutely central to how most companies compete and win. When IT systems are down, core business processes quickly come to a standstill. Availability is everything, but power costs must be managed. The cost of power and cooling has spiraled out of control in recent years. Data center managers are typically held responsible for achieving high availability while simultaneously reducing power costs. Highly-efficient UPS systems can help with this goal, and products are available today that were not an option even a few years ago. A well-developed power protection plan can help keep your mission-critical systems online, it can be an important tool in managing the overall quality of your power system. When developing your next backup power system, keep in mind a few considerations. ✓ Single-conversion, double-conversion or multi-mode UPS? ✓ Is your incoming power single phase or three phase? 120V, 208V, 220V, 480V? ✓ How much load, in volt-amperes (VA), does the UPS need to carry? ✓ Do you need redundant deployment architectures, hot-swappable components, extended battery runtime, easy battery management, or remote monitoring? ✓ Is the system able to grow with your company’s needs? ✓ Are real-time alerts via email or SMS and automated actions important? ✓ Does the UPS need to integrate and communicate with a building management system? 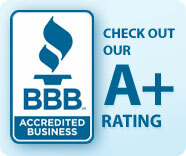 ✓ Who will maintain the UPS and how frequently does it need serviced? ✓ Is a service plan required? ✓ How much are replacement batteries? 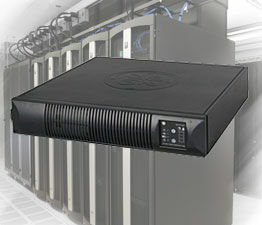 In the event of a sustained environment power failure, the uninterruptible power supply will provide immediate, emergency power to the connected equipment with its rechargeable battery. This feature ensures files will be saved and the whole interconnected system will be shut down in a protected manner. If an alternative power source is available, such as a generator, the battery will provide sufficient power to keep its system running until the secondary supply is brought online. Since the UPS majority also filter the power supply entering your computer system, limiting the detrimental effect of “spikes”, “noise” and other electrical disturbances. Most commonly used to protect POS equipment and single work stations. Standby UPSs allow IT equipment to run off utility power until the UPS detects a problem, at which point it switches to battery power. Some standby UPS designs incorporate transformers or other devices to provide limited power conditioning as well. Most commonly used UPS system for network environments. Used for small networks on up to enterprise applications. These UPS systems regulate input voltage up or down as necessary before allowing it to pass through to protected equipment. The inverter is always connected and operates in reverse during times when the input AC power is normal to provide battery charging. Double Conversion On-line UPS – Provide the highest levels of protection, are less efficient but are usually the standard choice for protecting mission-critical systems. As the name suggests, these devices convert power twice. First, an input rectifier converts AC power into DC and feeds it to an output inverter. The output inverter then processes the power back to AC before sending it on to IT equipment. This double-conversion process isolates critical loads from raw utility power completely, ensuring that IT equipment receives only clean, reliable electricity.In normal operation, a double-conversion UPS continually processes power twice. If the AC input supply falls out of predefined limits, however, the input rectifier shuts off and the output inverter begins drawing power from the battery instead. The UPS continues to utilize battery power until the AC input returns to normal tolerances or the battery runs out of power, whichever occurs sooner. In case of a severe overload of the inverter, or a failure of the rectifier or inverter, the static switch bypass path is turned on quickly, to support the output loads. Under normal conditions, the system operates in line-interactive mode, saving energy and money while also keeping voltage within safe tolerances and resolving common anomalies found in utility power. If AC input power falls outside of preset tolerances for line-interactive mode, the system automatically switches to double-conversion mode, completely isolating IT equipment from the incoming AC source. If AC input power falls outside the tolerances of the double-conversion rectifier, or goes out altogether, the UPS uses the battery to keep supported loads up and running. When the generator comes online, the UPS switches to double-conversion mode until input power stabilizes. Then it transitions back to high-efficiency line-interactive mode. Multi-mode UPSs are designed to dynamically strike an ideal balance between efficiency and protection. Under normal conditions, they provide maximum efficiency. When problems occur, however, they automatically sacrifice some efficiency to deliver maximum levels of protection. The end result is that data centers can save tens of thousands a year on energy without compromising data center performance or reliability.